You have been a wonderful encouraging, mentor and friend. ourselves and potential clients, through the personal profiles and self evaluations. I think one of the greatest gifts you have given me is the gift of confidence! As I continue to implement the above tools, (and your personal assurance that you will continue to be here for us anytime we need) I know I can become the interpreter that God wants me to be. I look forward to our continued friendship and association. Are you searching for an amazing, life changing Sign Language Interpreting Mentor Program that will take you to the next interpreting level? If so, then look no further. AMP’d is the program for you. 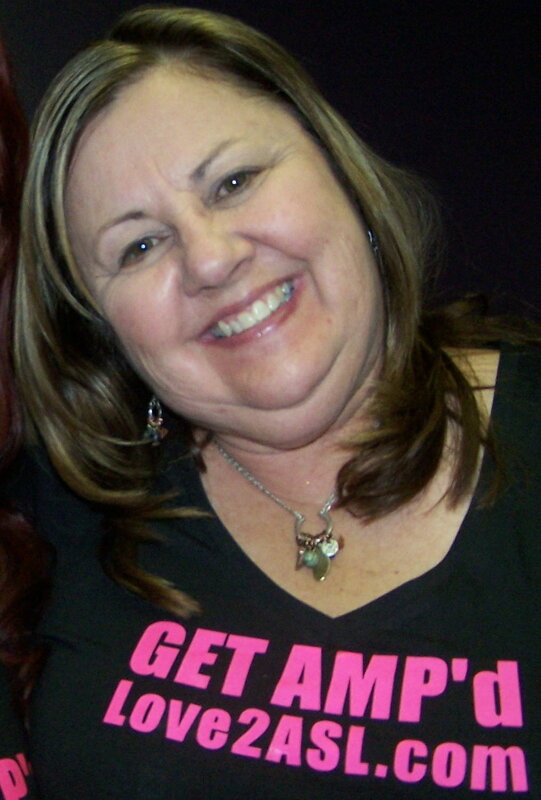 Juti, the instructor of AMP’d, is truly the crème de la crème as an interpreting mentor and as an experienced interpreter herself! As an interpreter, Juti has extensive interpreting experience in various settings and is expertly skilled in legal interpreting. As a mentor, she teaches techniques and strategies for interpreting that aren’t taught by anyone else (I wont spoil it by telling you the techniques ahead of time). Yet they are technique and strategies that are beneficial not only to your interpreting skills but also beneficial to your daily life. There is no other interpreting mentor program out there like this program! However, if you truly expect to glean the largest benefit from this course then PLEASE take what I say next to heart. 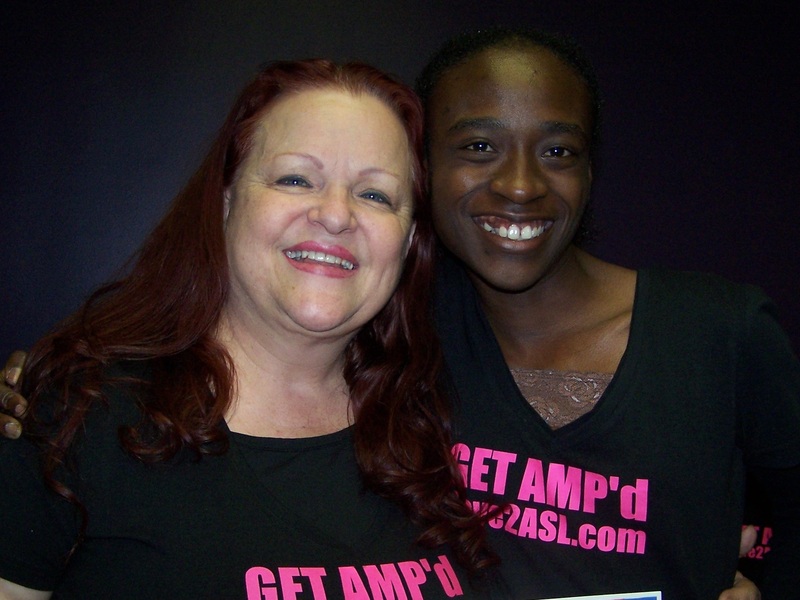 AMP’d has been an amazing learning experience for me and the same can be true for you. However, you need to bring an open mind to the classroom. If you sign-up to take this course but bring stuffed suitcases (a mind stuffed with the knowledge you “think” you already possess), then you will have no room left in the suitcase to store any new knowledge or information that would take you to the next interpreting level. And truthfully, if the knowledge in our packed suitcases was so valuable we wouldn’t feel that a mentor was needed to improve our skills to help us reach that next level. But the search for a mentor says that what we are carrying in our suitcases isn’t sufficient. So pack your suitcase (bring your knowledge), but leave room to take something home with you after the trip (have an open mind to learn the techniques and strategies that Juti teaches to take you to the next interpreting level). Rachel is currently pursuing her Masters degree from Galluadet University after completing her Bachelors degree in Deaf Studies at CSUN. If anyone is thinking about becoming an interpreter or needs to build their interpreting skills AMP is the place for you. Juti is well organized and educated in interpreting among other fields of study. She has great ideas and stories to help you in this profession. I was just beginning my interpreting classes when I came across the advertisement for AMP. I didn't know what to expect from the class except learn how to interpret. Having Juti as my first introduction to interpreting I learned a lot. I learned how to pace myself better and focus in on the task at hand. The part that helped me the most was the practice scenarios where we practiced interpreting. I have met a lot of great people that are in different stages of interpreting and they didn't make me feel like I didn't belong. It was a very supported group and I highly recommend anyone taking the AMP courses if you are able. 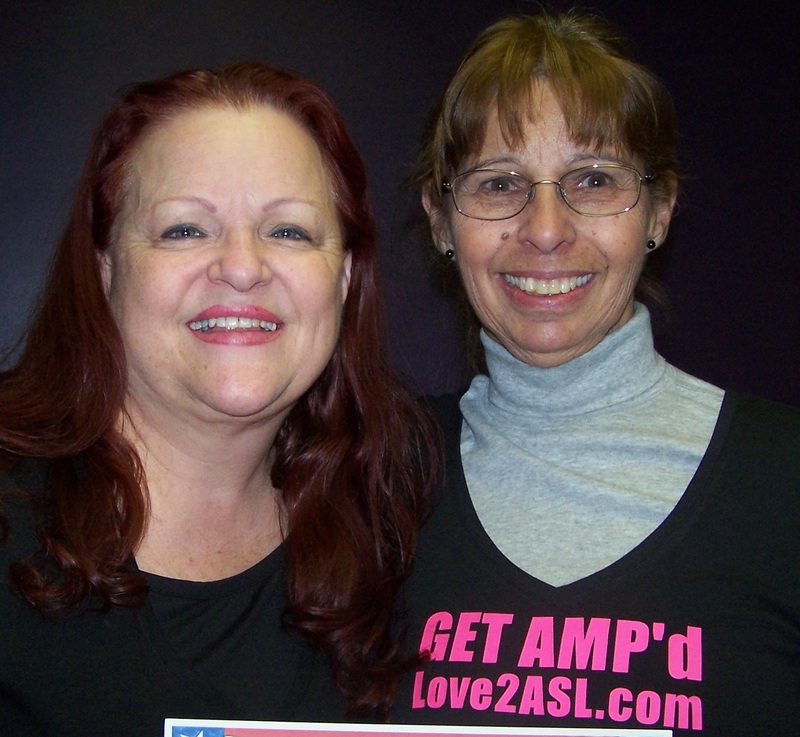 Juti’s AMP class is a must for anyone that wants to improve their interpreting skills. 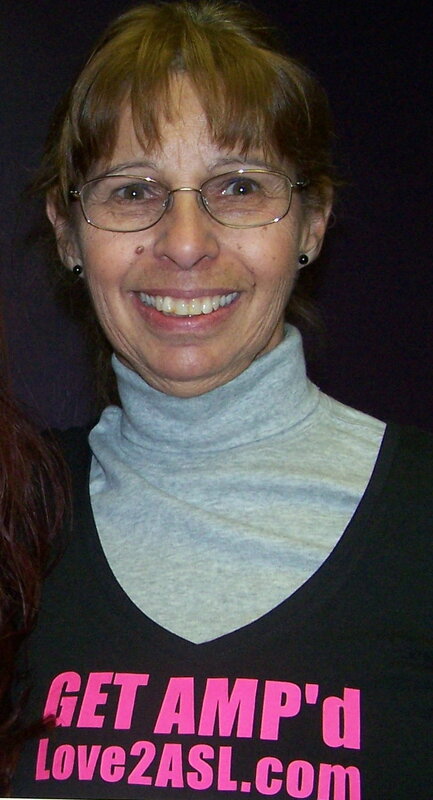 Her vast experience as an interpreter offers students a rare insight into the interpreting profession. Taking an interpreting class can be intimidating but Juti’s workshop provides a safe and informal environment that makes learning inviting, comfortable and fun. If you are expecting a set-back-and-learn workshop do not register. This series of workshops expects the students to be fully involved in the learning process and more importantly to spend time one-on-one with the master. If you are searching for a mentor look no further because she has arrived. Heart, Hands and Head, Dr. Seshie totally embodies the professional mentor. Her workshop Get AMP'd, is all encompassing. I came away from this workshop so much richer in understanding who I am as an individual, as a professional, linguistic preference of the client, what to do and not to do in different professional settings, and on and on! I am so glad that I took time out of my busy schedule to attend this professional workshop for professional Interpreters for the DEAF. It was soooooo worth the drive. If you are looking for that special workshop that will pump you up and prepare you for the Interpreting Field, THIS IS IT!!! I give this class ********** (10 stars at least). Dr. Seshie loves to teach and boy does she know how! If you are searching for workshops that will pump up your skills and offer you networking in the interpreting field, you have come to the right place. I am going to pass the word on! : - ) Don't just take it from me, see for yourself! Grad Students of Acclerated Mentoring Program "AMP"
My name is Constanza Wiens. 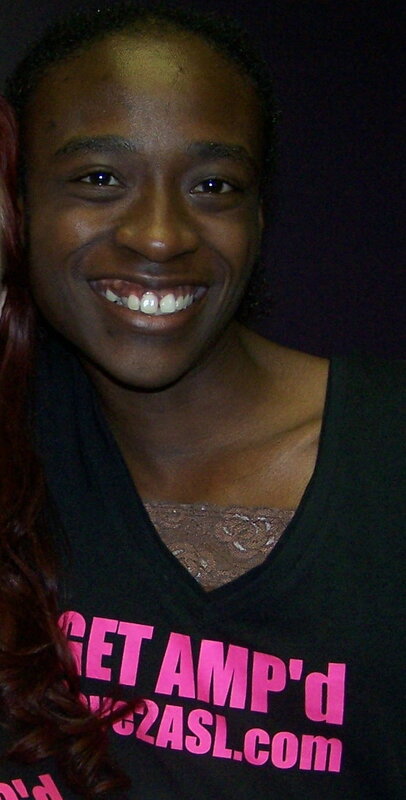 I did my ITP at Los Angeles Pierce Community college and graduated in May 2005. For job reasons in 2008, my family and I had to move to Puerto Rico. Praise God! I have been able to work as interpreter here because Puerto Rico uses ASL. For the last two years, I have been working on my own because the concept of team work has not been established yet and workshops are few. Searching for improvement, support, and guidance by May 2010, I decided to go back to California to take some mentoring classes and workshops from Juti Seshie at LOVE2ASL.COM. When I called Juti and explained her my situation here in Puerto Rico, she was willing to work with me and she organized all the classes I wanted to take and workshops one after the other one for me to be available to take as much as I could in a period of two months. What a marathon it was. She worked so hard to help and support me as much as I needed and I will be forever thankful. What I learned in every class and workshop was and is of great value. No even once I felt that I have lost my time and money. In her classes, I discovered who I am as a professional Interpreter. My strength and weakness of my interpreting skills were exposed, and with it, I learned different techniques that with practices are helping me to improve in every single area and to reach the next level. I learned to control my fears, how to analyze ethical problems, I learned the difference requirements between the EIPA test and NIC test, and the most important thing I learn to have confidence.